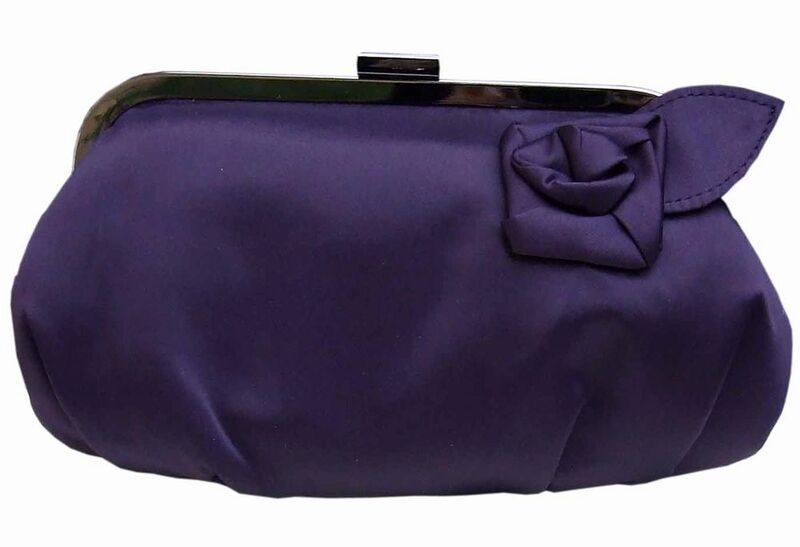 Striking plum soft satin clutch bag by Menbur, Spain. Pewter frame & small pewter chain enclosed. 25cm x 12cm.